Wearing a Swiss watch on your wrist makes you truly the man of luxury. 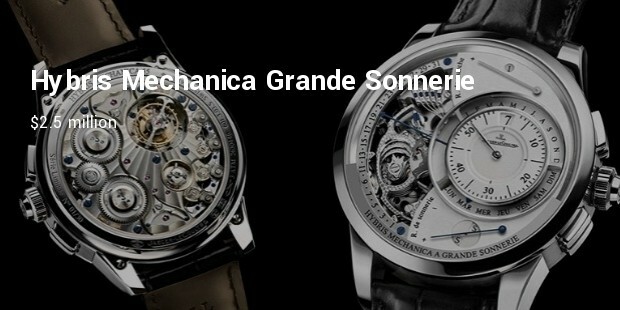 Swiss watches are known for their innovations and ahead of design which makes them stand in luxury. Backed by rich history, Jaeger – LeCoultre is known for its most complicated but modern invention of watches. This includes Millionmetre and Keyless watch under its belt. 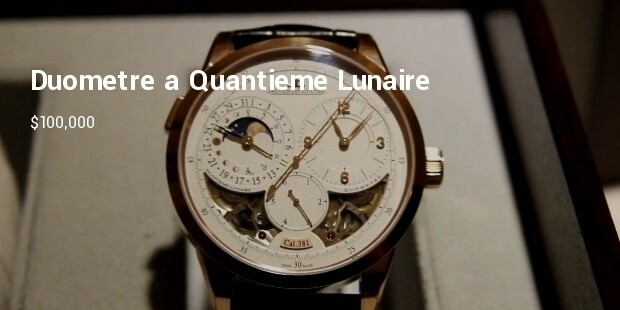 Some of the pieces of this brand were sold at record price making it the most recommended and luxury watch. 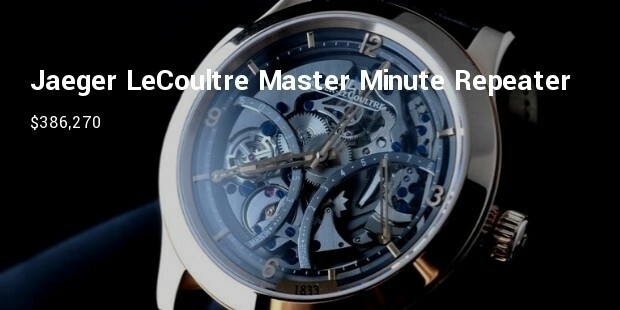 This 1,300 parts and 26 complications has minute repeater, making it the most complicated but luxury watch by the brand. Available with the price tag of $2.5 million, it is made of white gold and weighs 18 carats. The watch also comes with leap indicator and other ahead of time features. 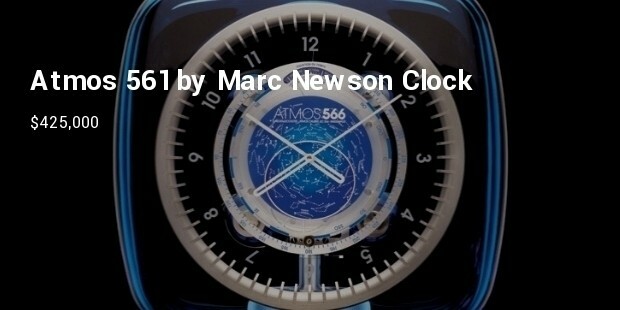 Auctioned at Jony and Marc’s Red Auction 2013, this watch was especially created for the auction.This $ 425,000 watch is adorned with red “Marc Newson” logo and was sold at record price till date by the brand. This automatic winding watch is dazzled with white gold and diamond bezel, giving a gem look. The Suave alligator band on the body makes it look out of the box. This luxury gem is perfect combination of technology meeting the modern look. Styled as bracelet and with tiniest calibre, this $26 million watch by Jaeger – LeCoultre has 576 diamonds set making it the most highly priced watch. 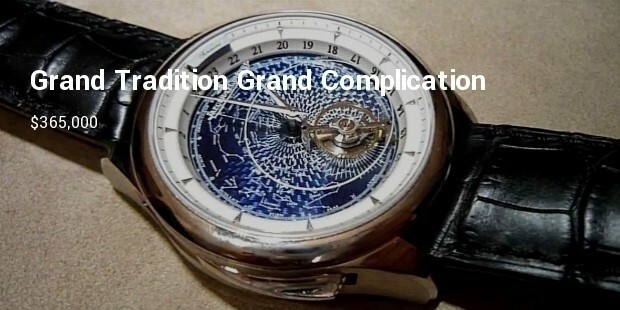 This is a limited edition watch with only 75 made in total. The case is made of platinum and the dial is ruthenium and plated with rhodium. The watch also features a crocodile band and a sapphire crystal. It is also water resistant up to a distance of 50 meters. This is a limited edition watch with only 175 pieces ever made. The rose gold skeleton watch has a beautiful face and features a minute repeater. The gongs of the minute repeater mechanism are also welded to the back of the sapphire glass, making it one of the most innovative minute repeater ever made. This is a manual winding watch with a case size measuring 44 millimeters in diameter. 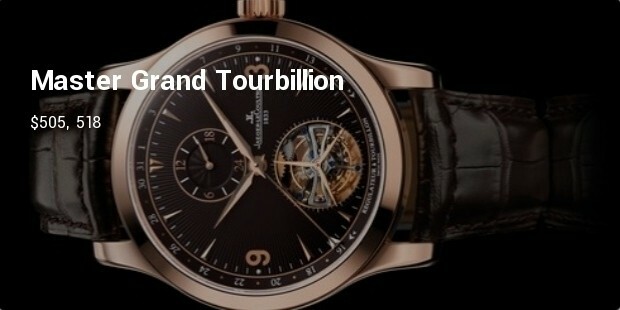 It features a 24-hour display and tourbillon window. 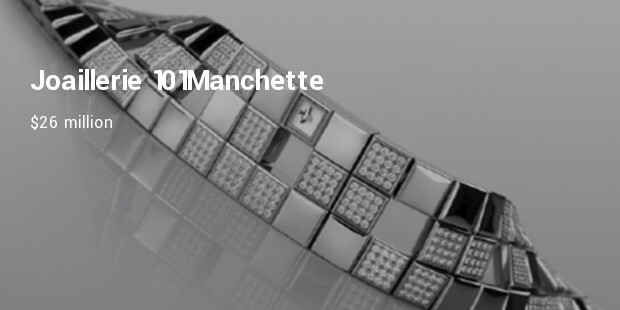 Only 75 pieces of this watch were ever made. A triple complication to convey the perfect blend of haute horlogerie and advanced technology. This watch is considered as the mother of all Reversos. 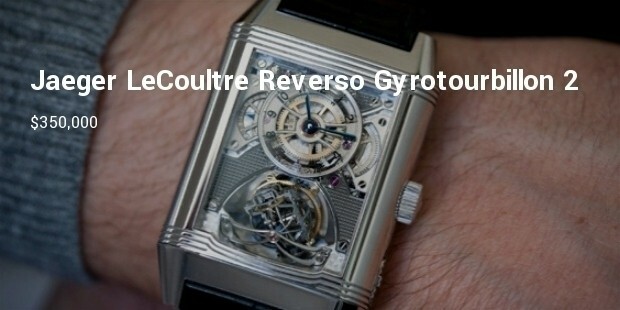 It features a double-axis tourbillon with cylindrical hairspring. 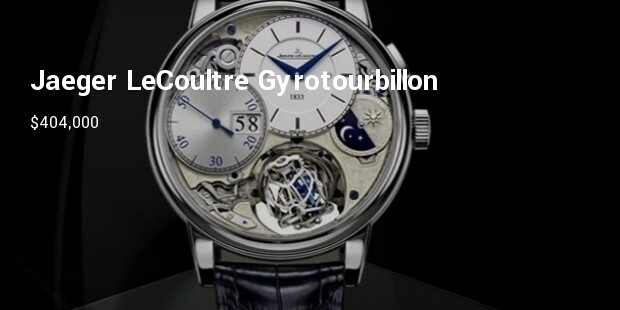 It is encased in one massive barrel to accommodate the spherical tourbillon. A secondary integrated lock slider is located near the crown to ensure that accidental reversing will not occur. This watch features a tourbillon cage made of ultra light titanium and located at the six o’ clock position. 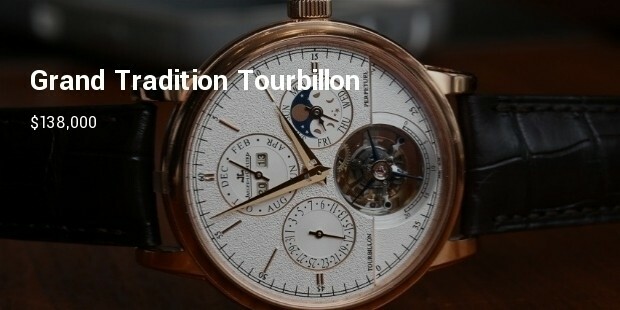 There is also a perpetual calendar complication with the month, day and date located at the 12, 3 and 9 o’ clock positions and the year at the center in the top sub dial. This watch has a dual wing system and features silver, golden gears and polished pinions set in golden chatons. All parts are hand-finished and the bridges feature exquisite striping.